Every four years, Israel hosts The Maccabiah Games as 10,000 Jewish athletes, of all ages, from 80 countries converge and meet to compete in the event that features many sports including soccer, basketball and tennis. 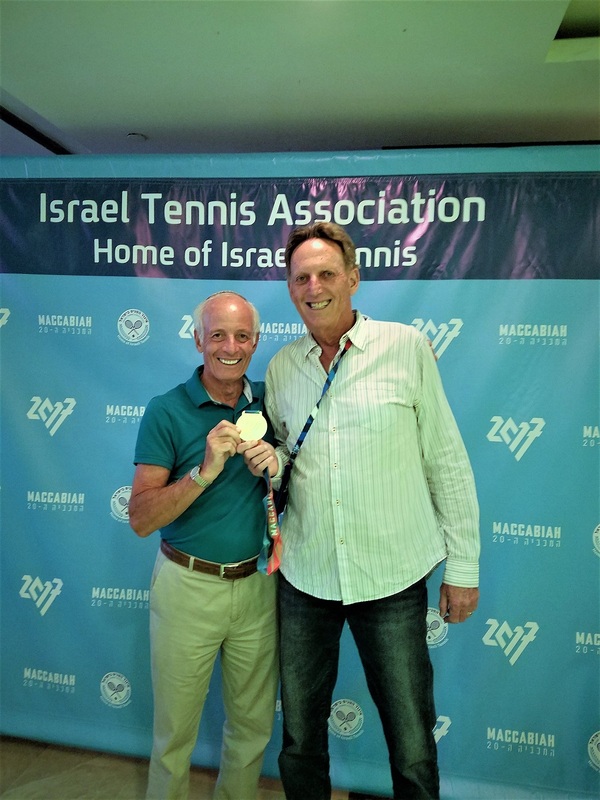 The Maccabiah Games is the third largest international sportime event in the world and this July, one of Point Set Indoor Racquet Club’s longtime members, Harold Rubin, decided to register and throw his hat into the rang at the 20th annual Maccabiah Games this past summer and competed in both singles and doubles in the 70&Over Division. Rubin is one of Point Set’s “Early Birds”, a group of players, some of whom have been together for more than 40 years, that play in the early morning hours at Point Set. Along with his wife Esti, Rubin went to Israel in early June and spent quality time with their daughter Tammy, who lives in Israel with her husband, Eric, and their four children. After a few days of quality family time, Rubin began his practice on clay, a new surface for him. After a few tough matches, Rubin couldn’t advance past the quarterfinals in the singles draw, but found success in the doubles draw. Pairing up with Andrew Harrison of California for the first time, the two battled tough competition and hot weather to take home the Gold Medal in doubles.